Welcome to extendedReach! 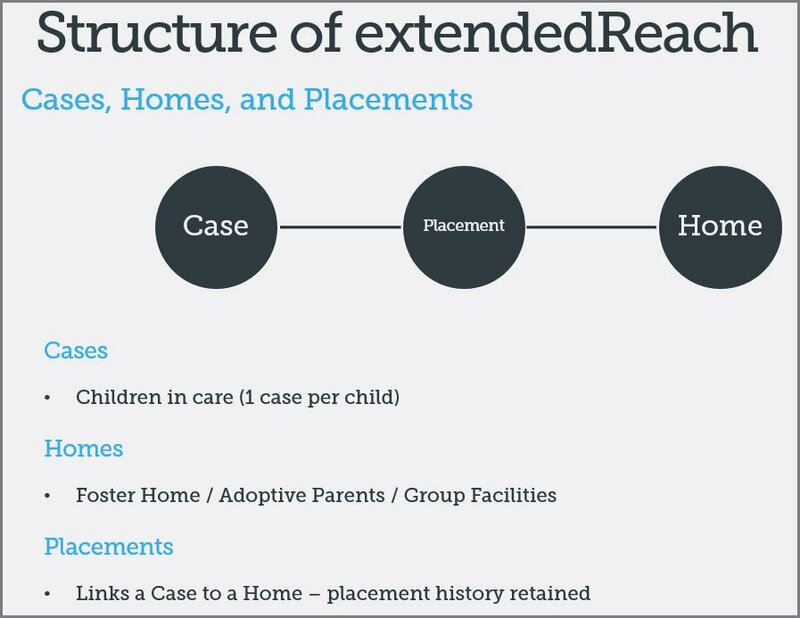 This article is meant to familiarize you with the basic functionality of extendedReach. If you have a question not addressed here, you can search at the bottom of this article in Related Topics or you can Contact Support. Your personalized “Workspace” keeps your “Task List” and other duties organized, so through time, you and your agency remain compliant…and able to focus on what matters most! 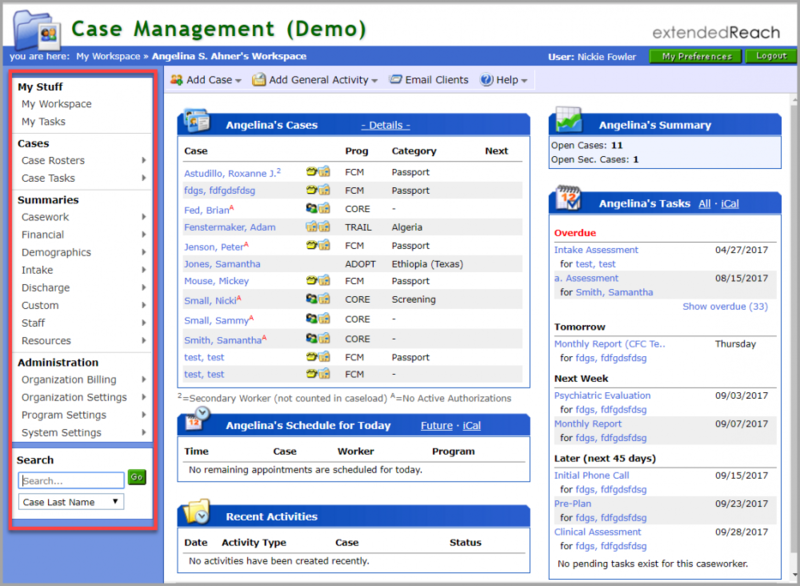 “My Workspace” offers easy access to your personal workload with customizable, point-and-click case management. You can access this page from anywhere in the eR system by clicking on the folder icon in the upper-left corner. Customize the configuration of your workspace by clicking the “My Preferences” button in the upper right corner. For more details on “My Workspace”, please see: Worker Workspace and/or Supervisor Workspace. The “Side Menu”, on the left side of your screen, provides summarized data which can be filtered by office location, grouped in a variety of ways, and exported to Microsoft Excel spreadsheets. For more details on Views, please see the following detailed articles: Side Menu – Accessing Views, Side Menu – Working with Views. Use the search box in the lower left corner to quickly find case or home information. You can search by last name of cases or homes, even partial names work. You can also search contents of case notes and documents. To learn more about “Searches”, please see the following detailed article: Searching. “Cases” – each child in care typically has one case. If a child is discharged and comes back into care a new case is created and linked to the old case. 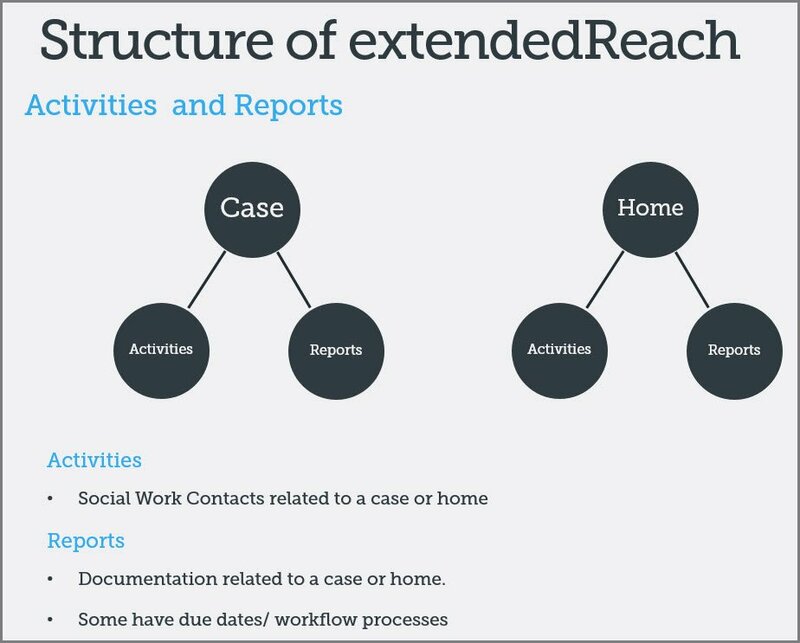 For each Case, extendedReach tracks interactions and supported documentation in two different types of records: “Activities” and “Reports”. Activities are Social Work Contacts related to a case. Reports are documents related to a case. Some have due dates and/or workflow processes. Please see the following article and video for more details: Creating, Approving, and Completing Activities and Reports. To understand the process of adding and editing information, working with cases, working with documents, and utilizing the Scanner Inbox, please see Related Topics for detailed tutorials and videos on each of these subjects. The left side of this extendedReach User Manual contains many informative articles and videos for your use. Please view as often as you like.